What does Cleo magazine have in common with Mark Latham’s Outsiders? They're both famous rip-offs! Herewith, a short collection of other notorious media knock-offs. It was a great audience: fewer than 100 people sandwiched into a small room at Sydney’s Intercontinental Hotel, overwhelmingly middle-aged, male and white. 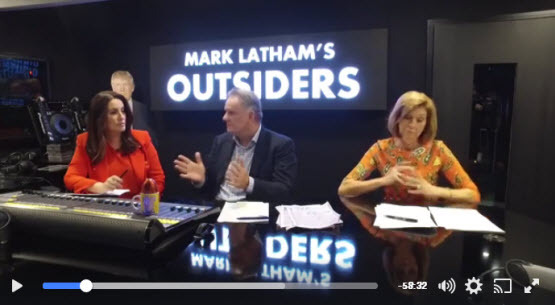 Lest we forget, Mark Latham once campaigned to be prime minister. He is now hosting Facebook Live video with terrible sound, and his co-host appears to be a cardboard cut-out of Donald Trump.